The area around a magnet within which magnetic force is exerted, is called a magnetic field. It is produced by moving electric charges. The presence and strength of a magnetic field is denoted by “magnetic flux lines”. The direction of the magnetic field is also indicated by these lines. The closer the lines, the stronger the magnetic field and vice versa. When iron particles are placed over a magnet, the flux lines can be clearly seen. 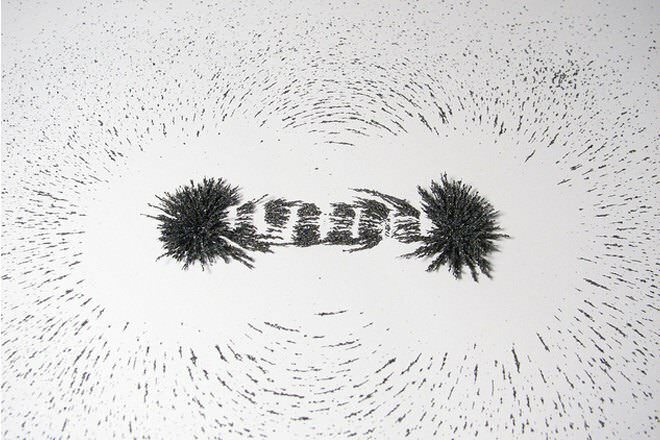 Magnetic fields also generate power in particles which come in contact with it. Electric fields are generated around particles that bear electric charge. Positive charges are drawn towards it, while negative charges are repelled. A moving charge always has both a magnetic and an electric field, and that’s precisely the reason why they are associated with each other. They are two different fields with nearly the same characteristics. Therefore, they are inter-related in a field called the electromagnetic field. In this field, the electric field and the magnetic field move at right angles to each other. However, they are not dependant on each other. They may also exist independently. 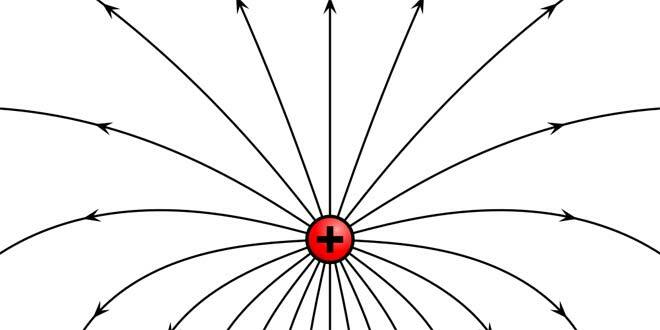 Without the electric field, the magnetic field exists in permanent magnets and electric fields exist in the form of static electricity, in absence of the magnetic field. 1 What are Electric and Magnetic Fields? Magnetic fields are created whenever there is a flow of electric current. This can also be thought of as the flow of water in a garden hose. As the amount of current flowing increases, the level of magnetic field increases. Magnetic fields are measured in milliGauss (mG). An electric field occurs wherever a voltage is present. Electric fields are created around appliances and wires wherever a voltage exists. You can think of electric voltage as the pressure of water in a garden hose – the higher the voltage, the stronger the electric field strength. Electric field strength is measured in volts per meter (V/m). The strength of an electric field decreases rapidly as you move away from the source. Electric fields can also be shielded by many objects, such as trees or the walls of a building. An electric field is essentially a force field that’s created around an electrically charged particle. A magnetic field is one that’s created around a permanent magnetic substance or a moving electrically charged object. In an electromagnetic field, the directions in which the electric and magnetic field move, are perpendicular to each other. The units which represent the strengths of the electric and magnetic field are also different. The strength of the magnetic field is represented by either gauss or Tesla. The strength of an electric field is represented by Newton per Coulomb or Volts per Meter. The electric field is actually the force per unit charge experienced by a non moving point charge at any given location within the field, whereas the magnetic field is detected by the force it exerts on other magnetic particles and moving electric charges. However, both the concepts are wonderfully correlated and have played important roles in plenty of path breaking innovations. Their relationship can be clearly explained with the help of Maxwell's Equations, a set of partial differential equations which relate the electric and magnetic fields to their sources, current density and charge density. So what will happen if Magneto from X-men comics and Electro from Spiderman battle it out? seeing that they are in basic magnetic force and electric force? Thanx a lot 2 the person who gave the difference so easily..
1. The laws of physics remain the same across all frames of reference. 2. The speed of light is constant in all frames of reference. The second postulate allows for the derivation of a formula for length contraction L=Lnaught/SQRT(1-V^2/C^2), where Lnaught is the length measured in the frame in which it lies at rest and L is the contracted length measured in a frame in relative motion with speed V.
In the case of a static (+) test charge in the vicinity of a straight line of current within a neutral wire having (+) charge density equal to (-) charge density, the magnetic B field due to the moving charge, i.e. the current, will have no effect on the static (+) test charge. Velocity of the (-) electrons flowing past (+) nuclei has no effect on charge density in the wire, the wire is still electrically neutral, and no electric field exists to act on the (+) test charge. However, setting the (+) test charge in motion with velocity equal to (-) electrons will cause the (+) charge density in the wire to appear as being contracted relative to the (-) charge density. The (-) charge density of the wire will not change relative to the (-) test charge since they are in the same frame of reference. This imbalance of charge density will now have an associated electric E field that will repel the (+) test charge. Move the (+) test charge with the same velocity in the opposite direction and both of the charge densities will appear contracted, but more so of the (-) charge density. This imbalance will now result in an electric E field which attracts the (+) test charge. To observers of this system in the frame of the wire the coulomb force in the frame of the (+) test charge will appear as being the magnetic force. They should give reasons why they are SIMILAR as well. It would be really helpful. Being a student, I would know.